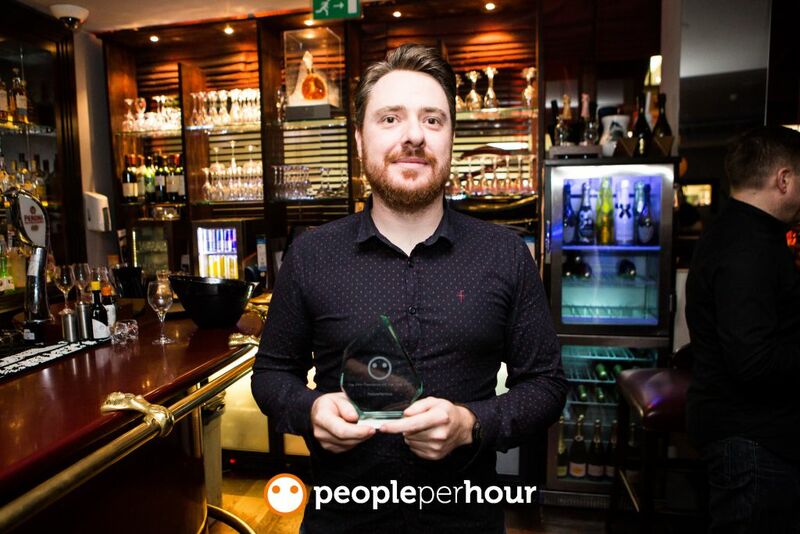 Chris Lord, the winner of The PPH Freelancer Of The Year 2017 award, says freelancing can be tough at times, especially when you get bogged down with several new projects all at once, but the freedom of being your own boss is worth every unsociable hour of work that comes with it. I started off working for a big Data company based in London, and quite regularly, I would get asked if I ever did any freelance work. At the time, I was in full-time employment, but I would do the odd logo or website for friends and colleagues for their personal ventures. Over time, I started getting more and more requests for private work, so I thought it would be a great opportunity to set up a side business to boost my income — so I set up Boxfresh Creative. I found that I was really enjoying the freedom of working for myself, so decided to look for other ways to bring in extra work. And that’s when I found PeoplePerHour. I tried a few other freelancing sites, but they were just over-complicating things, so I set up my account and created my first Hourlie offering logos. That’s really where my freelancing journey began. As I had already done some work for family and friends, I had built up a small portfolio of work – I used my best work to set up an Hourlie. I’m not sure what I was expecting, whether it would be a waiting game or whether I should be actively looking for jobs by making proposals to people looking for design work… but after a short while, I had an enquiry from someone asking if I would be interested in taking on a logo project. I was quite excited about it, but also mindful that I had to put 110% into the work to make a good first impression. After a few exchanges, I had sold my first Hourlie and got my first client! All went very well, and in the process, I gained my first 5-star review. Everybody wants to be their own boss, and I was no different. The fact that I had no one to answer to but myself is a great feeling. Also, having the freedom to plan your own workload and take time off pretty much as and when you want is also a bonus. You also get to work with several different people and, in my case, I work with clients from all over the world and each client wants something different — so I never find myself doing the same thing day in day out! Each client presents a different challenge. Being a family man, I get to spend a lot of my time with my kids, as I’m always home. So for them to have me around a lot, especially while they are young, is a great feeling. It also gives you the freedom to help friends and family and tackle everyday life problems without the hassle of a full-time job in the way. Freelancing can have its drawbacks. I find myself working unsociable hours and late into the night on occasions, which isn’t ideal. But if the job has to be done, then it has to be done. There is also the chance that work can dry up, which can at times be a little unsettling because if you don’t have the work, you don’t get paid. So you always have to be ready and think ahead for such occasions. And on the flip side, you can get bogged down with several requests all at once and it can be tricky to juggle them all at the same time, but if you keep track of everything, it makes it a little easier. leap and start working for themselves. Starting off can be quite tricky, but you must stick with it. Don’t give up if you don’t get a client instantly as it can take time. Another thing I always say is show your best work. And I mean your best work! This is the first thing a potential client will see, and if they like what they see, they will more than likely make contact. They may not necessarily go ahead with the work, but it’s made an impression on them enough to enquire. Always use your own work as well. If you are showcasing work that seems to be of a high quality and deliver something that’s not up to the same standard, it’s likely that you will not only lose the client, but there’s also a chance that they could tell others and you could lose potential future clients. Always be honest, reply in good time and always be willing to go that extra mile. It could mean the difference between a great review or a bad one, just for an extra hour or so of your time. A happy client means a returning client and the chance that they will pass your details on to others. PPH is my main source of income. So, in truth, I would be lost without it. It’s a great platform and so easy to use, which has helped catapult my freelance lifestyle to the level it’s at today. 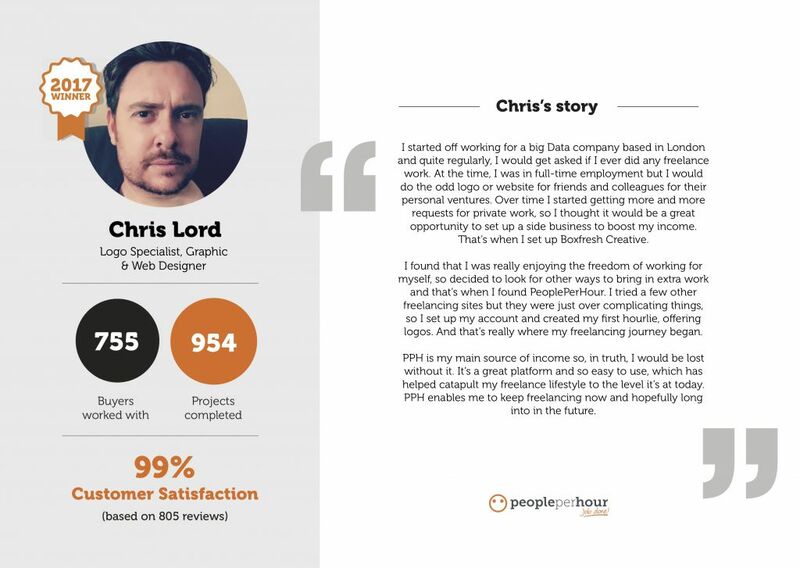 PPH enables me to keep freelancing now and hopefully – long into in the future!